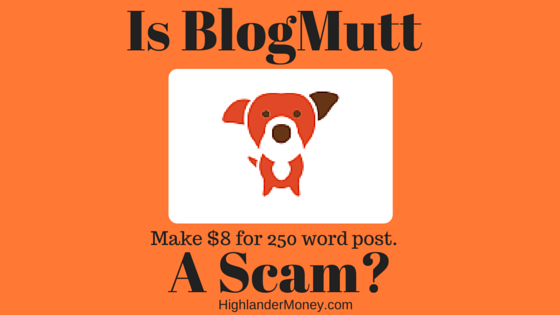 Home › Reviews › Is BlogMutt A Scam? Price: Free to sign up for, they pay you for work approved. 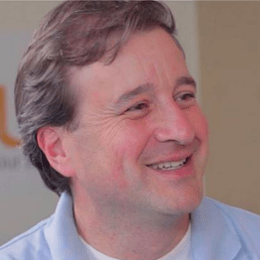 What the heck is BlogMutt? Is BlogMutt a scam? Can you make a living off of BlogMutt? I hope to uncover these and many more questions you might have about this interesting non-purebred blog platform which is called BlogMutt. BlogMutt is a content and blog writing service, they are basically the middleman between business, agencies and/or website owners needing content for their sites and the people that generate the ever important well-written content, the writers. The businesses pay a monthly payment for a predetermined amount of posts within that month. They also provide a keyword list or a similar article that they want BlogMutt writers to create content like. Once the post is written, it’s subjected to the customer’s approval, which could include editing, rejection or the sequence of timing for posting. Why would a business want this kind of service? Well, many don’t have the time or resources to generate the content themselves and look elsewhere to get this fulfilled. BlogMutt provides a nice clean structure layout. You can tell from browsing around in a few minutes that BlogMutt is a professional and serious business but in a relaxed and very friendly atmosphere. As Scott Yates the owner and founder is a writer too boot and knows, I’m sure from personal experience, that making a comfortable place from which writers can feel comfortable and which aids in the whole creativity of writing, is so beneficial to having quality posts. I will be reviewing the income potential of becoming a writer at BlogMutt. If you enjoy being creative with excellent writing skills and grammar, you could possibly be looking at your next job. As the first thing you will want to do is sign up. The sign-up process is relativity simple, as you must be a USA citizen with either a LinkedIn account of Facebook account. If you don’t engage in social media, there are other options of proving your citizenship, and this can be done by contacting support at BlogMutt. To become a writer at BlogMutt you must pass a test. It is a test where you write one sentence, yup, only one sentence. Tip, it’s not as easy as you think but if your good at English you should pass. That’s is all I am going to say about that. 250 words = $8.00 per post that is accepted. All writers eligible. 600 words = $19.00 per post that is accepted. Needs to be at level 4 or above to write for. 900 words = $40.00 per post that is accepted. Needs to be at level 5 or above to write for. 1200 words = $72.00 per post that is accepted. Needs to be at level 7 or above to write for. You earn 2 points for writing a post for a client. You earn 18 points when a post is approved by the client. You earn more points for each level acquired. Level 1 must earn 12 points. Level 2 must earn 50 points. Level 3 must earn 250 points. Level 4 must earn 750 points. Level 5 must earn 1,500 points. Level 6 must earn 3,500 points. Level 7 must earn 5,000 points. Level 8 must earn 10,000 points. 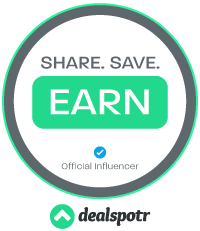 You earn 1 BlogMutt share!!! Level 9 through 20 must earn 10,000 points for each level. For each level, you also earn 1 BogMutt share!!! Receive payment thru PayPal. I am a big fan of being paid through them. No minimum to cash out. Love this! No editors to edit and critique your work. But the client is the judge. Over 900 clients to write content for. Which should keep you pretty busy. At the time of writing this, there were over 1,000 jobs to write for. If your post is rejected at least they give you the reason why it was so that you can do better next time. A high value is placed on writers and is appreciated at BlogMutt. Jobs are clearly marked for each level, so you can see what jobs you are able to work on. You choose which topic from the list on which you will write on, the ones that are best suited to you. The ability to save at any time and come back later, to continue writing. They have a goal-setting function, so you can stay on target for how much income you want weekly. This company cares about the writers. They have a stock option for workers. This is amazing, and you do enough work you get BlogMutt stock. Must be a US citizen in order to obtain work from BlogMutt. Some writing topics require research before writing about. Your time needs to be factored in for researching. You might write a post, and it can just sit there, not being picked by the client. So all for nothing. When writing keep in mind you are writing for a business, and make it unique to them. While staying within their topic needs. Pick a topic you know something about then write. It’s easier and faster to write what you know, than researching an unknown subject. Look for clients with a high number of required post. More likely to get accepted. Use the search button to look for topics that interest you. Use the BlogMutt word processing program. Other writers will see you working on that particular job, and they will avoid it due to duplicate posts. If you use your own word processor, there might be a chance of having a duplicate post. Captain Obvious says, “Proofread your blog a couple of times before submitting“‘, and “Read it out loud“. Visit the client’s website to learn more about them. Under no circumstances do you contact the client. Hopefully, you paid close attention in High School English class, as proper spelling and grammar are required. The list of blogging companies is an ever-expanding field, and the list can be vast of alternatives to BlogMutt. iWriter – You can read my review here, What Is iWriter? Postloop – (No longer around, it is now called ContentGather) Read my review here, Is Postloop A Scam? I believe BlogMutt is for writers looking to supplement their income. So if you are a writer and want to make more money on the side, this is an excellent site to do that on. The pay is okay, well, not the highest, and it is not bad $8.00 for every 250-word post. It should take roughly about a half an hour to write a shorter post and longer for the lengthy 1200 words. Clear and concise on what is required to write for BlogMutt, with multiple examples and information on using and writing. Under the help section is required reading if you expect to remain at BlogMutt, it is lengthy and with many many helpful hints. Helpful chat and FAQ pages also. They have a forum to get help from other writers. Along with that, they have a responsive support team and a chat program to ask questions and get fast responses to. Is BlogMutt a scam? Nope, not at all. It provides a nice platform I feel they provide an excellent platform to make decent money and they pay weekly. With lots of clients to potentially choose from there seems no shortage of work available here. Just don’t expect every one of your post to be accepted. It actively rewards writers for being active with higher levels and more pay, and when you reach level eight, you are also rewarded with BlogMutt stock. 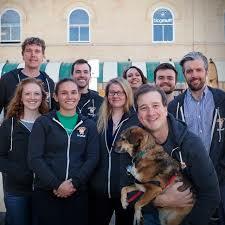 Unheard of in the world of crowdfunding. A real solid company. Take the next step to financial freedom. Why not write for yourself? If you are interested in creating and owning your own business and the opportunity to make more money check out my #1 recommended program Wealthy Affiliate Review. You will learn how to be successful at Affiliate Marketing. Especially if you are a writer, instead of writing for someone else, why not write for your self on your own website. Where you control and write about what you want. Being a writer will so help you at Affiliate Marketing. Detailed step-by-step training, a really great community(people helping each other) and everything you need to know about Affiliate Marketing. So invest in yourself today! If you have any questions or comments about BlogMutt, please do so below, I will be more than happy to reply to them. Thanks. ‹ Is Indiegogo A Scam? Hey Doug, I think it pays more than a lot of other sites like surveys and such and the more you do it the more pay you are able to potential make with higher word counts. What blew my mind was after level eight and each level after that you receive stock in BlogMutt. A nice incentive to work for them. Blogmutt seems to be very interesting and something to look into. The payout is good. It is awesome that once you get to leave 8 you get stock options. There isn’t a lot of companies out there that will do this. Great review will be looking into it. It’s a very solid company that pay decent, and I would recommend it to any writers out there as a nice way to pull in extra money. The stock option is amazing and a nice caveat for working for them once you reach level 8 and above. Glad you liked it Timothy. Thank you very much for your information . Your site is really helpful..
Hey Senal, your welcome, I am so glad you found the information useful. BlogmMutt seems like a great way to make some money if you like writing and they pay decent. Good luck and see you around. Sir Daniel. Thank you for taking the time to review BlogMutt.com It’s people like yourself who make the internet awesome. It nice to hear a positive comment, glad I help you in some ways. Peace. Ive passed the tests but now its asking for my ssn and im unsure about this even though its apart of appying etc.How do i go about this? Congrats on passing the test! Which one was it, did you find it hard too? If you are having a hard divulging your SSN to Onespace, try and contact them through their other methods and see if they can alleviate your concerns. Or maybe have a different avenue to go through. I gave them my SSN and I have had no problems, knock on wood. Hope this helps Amy! BlogMutt is horrendous for writers. The pay is appalling (writers earn $8 on a 250-word post, for which BlogMutt earns $17). You’re stepping over hundreds of other writers’ toes in hopes of selling a post to a client. And they will close your account without reason. Unless you’re looking for a place to write as a hobby and don’t care about getting paid, avoid BlogMutt! Thanks for sharing your opinion and experience. I found them to be very honest and supportive to writers, but do see your point about the pay. I really like that you can earn a share of BlogMutt with enough levels and points. More pay is deserved by the writer for sure. Have you looked at other companies, like iwriter, ContentGather and others under BlogMutt Alternatives on this page. I wrote for them early on (2013-2014). I reached level 7 I think…the writer’s forum was my most favorite place to hang out. The pay was paltry back then….no multiple levels..just $8 per article no matter what. BUT….what at first felt like a super supportive place became AWFUl in one very short week and I was removed so fast it made my head spin. I wrote an article on a very technical/dry topic which ended up not passing a plagiarism test. Wait, no…it passed upon submission…AND it was purchased, but THEN someone found another similar article written 2 years before. I had never seen the prior article. Scott personally contacted me but from a place of “GUILTY” from the start. His attitude was awful and even though he “asked” me about the issue, it was quite clear from word one that he had already made up his mind. I found that treatment appalling and frankly even if he had not removed me, I would have stopped writing for them anyway because of how I was treated. Now, it was a good move – it reminded me that I am an accountant and not a writer and that I can (and do) make a TON more money doing bookkeeping on the side than I did working for him, but given that prior to that experience I was constantly referring people to the site, I was sad to see that ugly side. I hope he’s learned how to treat people better. I must say I am sort of not surprised to see the lack of diversity on the team according to the picture you posted above. I am happy to hear they have improved their pay structure and finally did implement the stock options.